If your business is in need of tools that can simplify the process of sharing information and collaboration between employees, you’re not alone. SharePoint and Office 365 have proven themselves worthy solutions, having been utilized by departments and clients across the globe, each making use of different platforms and devices. 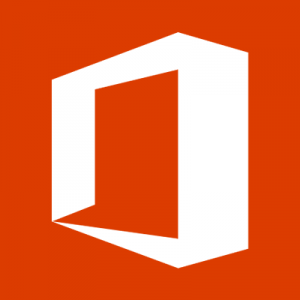 Microsoft SharePoint products can act as a standalone solution or can work in conjunction with Office 365, depending on your unique business needs. We work to develop a custom solution for integrating your data and infrastructure with the power of SharePoint or, if you prefer, can create a ground-up solution based around SharePoint and 365. SharePoint Online – This cloud service replaces the need to install and deploy SharePoint server on-premises. Instead, businesses are able to subscribe to either a comprehensive Office 365 plan or a standalone SharePoint Online service for sharing documents. SharePoint Foundation – Quickly create various sites for collaborating on web pages, documents, lists, calendars, data, etc. SharePoint Server – Deployed and managed on-premises, SharePoint Server features SharePoint Foundation, Enterprise Content Management, business intelligence, enterprise search, personal sites, Newsfeed, etc. SharePoint Designer – Design, build, and customize web sites that run on SharePoint Foundation and Server. SharePoint Workspace – Take SharePoint site content offline for full collaboration capabilities even when disconnected from the network. OneDrive Business Folder Sync – Sync offline versions of team sites or OneDrive Business library to a designated folder on your computer or device.